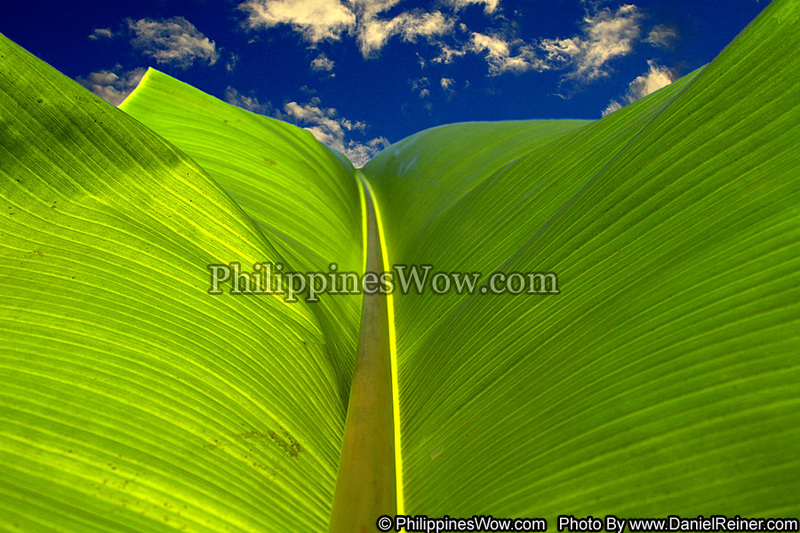 This is a very large Philippine Banana Leaf which is illuminated by the afternoon sun. The leaves of the banana trees are very thick and provide many uses because they have great insulation properties. Many Filipinos use these leaves for foil to keep food warm and food preparation. I have even seen some Restaurants in Manila use clean Banana Leafs to wrap the rice or dish instead of plastic or paper.